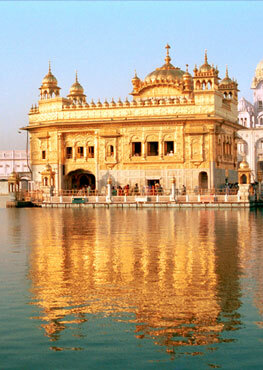 It's sunset hour at the Golden Temple in Amritsar. As its gilded domes are bathed in a fiery glow, a lesser radiance catches the eye of many local worshippers—three graceful white-skinned girls, sitting cross-legged, preternaturally erect, clad in blue kurtas and bright white turbans. One, sporting headphones, chants silently to herself. Another caresses a string of beads, while a third flicks her forefingers apart in an arcane scissor-like mudra, an expression of otherworldly bliss on her face. The sight is enough to distract many from their prayers. Young men with camera-phones creep across the marble floor to take stealthy aim at the girls. Older men, flashes flaring, brandish theirs from a prudent distance. An elderly woman, eagerly inching closer, slips and lands in a painful tangle of limbs. The three young girls at the heart of the melee go by the "spiritual names" Atma, Akaljeet and Sat Nam, and come from the US, Mexico and Germany, respectively. They are students of Miri Piri Academy, the world's only boarding school for Sikhs of foreign origin. The academy's 17-acre compound on the outskirts of Amritsar, lush with bamboo groves, ficus trees, and regal poplars, houses over a hundred turban-sporting, "jap"-chanting Sikhs from 13 countries across Europe, America and Southeast Asia. Miri Piri Academy derives its name from the sixth Guru Hargobind Singh's two swords, which symbolise mastery of the temporal and spiritual worlds—and that's what the Miri Piri Academy aims to instil in its students through a punishing daily schedule. 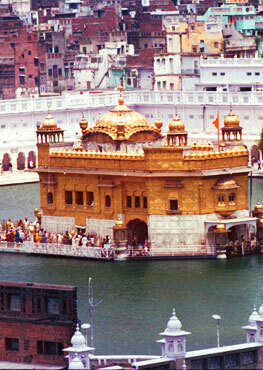 A day at Miri Piri typically begins at the unearthly hour of 3 am, when the bleary-eyed students bind on their turbans and go by the busload to the Golden Temple for a "seva"—sloshing bucketfuls of water on the great courtyard, and then stepping into the sacred pool to pray. They return at 5 am for two hours of shuteye, then rise to have their rooms inspected by solemn senior prefects. More prayers are followed by breakfast at 7.30. After an assembly of kirtan-singing, in twangy American accents, school hours commence at 8.30, with a regular academic programme that prepares students for the International Baccalaureate exam. Lunchtime brings an end to the academic session, but more arduous exertions soon follow. Such as the hour-long physical training session at 3.30 pm, during which students thrash their way through exercises and bouts of "gatka"—a Sikh martial art which has them flail a variety of weapons and engage in hand-to-hand combat. This is followed by an hour's team sports: frisbee, basketball, football, as well as kabaddi, for which Miri Piri's girls have a reputation that strikes terror into local school teams. The sports session is followed by an early dinner and a postprandial prayer session. An extracurricular hour follows, during which the campus reverberates with a clamorous chorus of tablas, sitars, guitars, saws, pottery wheels and bhangra music. After two hours of such activity-packed down-time, lights are turned out at 10 pm.